Let the forces of darkness cling to the shadows – now you've got the flashlight and flares to find them, the right weapons to take them down, and the chalk to draw outlines of the bodies. 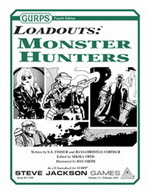 GURPS Monster Hunters – A ready-to-use toolkit that makes it easy to create high-powered heroes and send them out to fight the darkness! 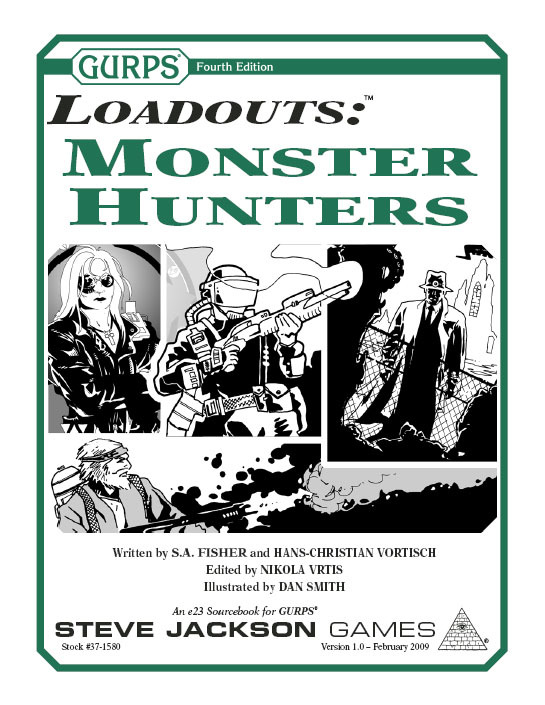 GURPS Horror – Information and game stats on dozens of classical horrors, waiting to be dealt with by intrepid monster hunters.